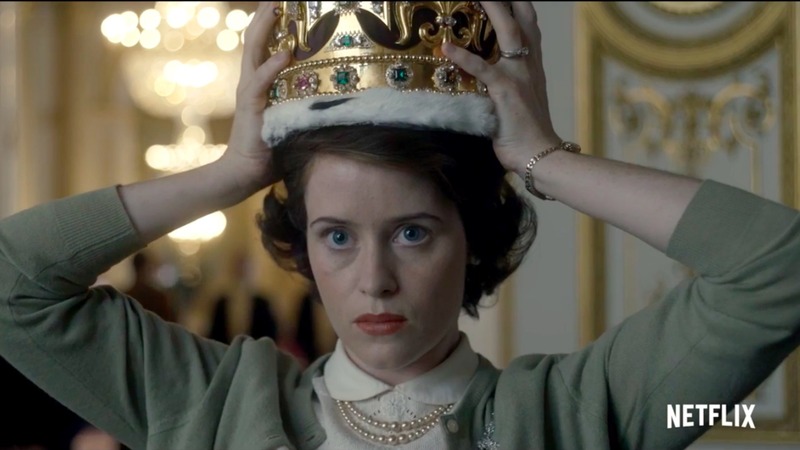 Netflix’s newest series The Crown is a lush inside look at the lives of Queen Elizabeth II and those closest to her, but how true are the scenes we’re watching? Here are a few details that caught our eye and a breakdown of how accurate they really are. In one funny scene that would cause a massive sexual harassment lawsuit if it happened today, Prime Minister Winston Churchill demands his secretary read his mail to him while he is in the bath. This was not artistic license for effect. Writers for the show say they discovered the exact anecdote in a documentary about the famed leader. In a scene that made many a modern viewer shudder with thoughts of supergerms, King George undergoes an operation to remove a lung, not at a hospital, but in a stateroom at Buckingham Palace — complete with giant crystal chandeliers. This was not dramatic license. The king really did have this major surgery at the palace (although if they truly wrapped the offending organ in newspaper like a smoked fish is another story). The only part of the scene that did not quite happen is the part when the family gathered together at the palace awaiting news. In reality, Elizabeth and Philip remained at Clarence House, Queen Mary at Marlborough House and Charles and Anne at Balmoral. Was the family’s royal house name really such a big deal? In the series, Philip is depicted as angry and emasculated because Elizabeth was talked into retaining the House of Windsor instead of his family name, Mountbatten (which was actually a brand-new name his father earned upon being granted British citizenship, replacing his much more German one). In real life, people close to the couple, including the prime minister, have said it was a source of major marital discord. “I am the only man in the country not allowed to give his name to his children. I’m nothing but a bloody amoeba,” Philip is said to have complained to friends. In fact, it bothered him so much that a full eight years later, when she was pregnant with Prince Andrew, Elizabeth again raised the issue with her advisors. Eventually, it was decided that the royals would retain the name Windsor, but any descendants not carrying the title “royal highness” would carry the surname Mountbatten-Windsor. After years of waiting, Princess Margaret and Peter Townsend, a divorced father of two, finally come to the realization that their love is not to be. In the movie, Townsend makes the announcement that the couple will not wed, but in real life, it was Margaret who broke the news to the world — albeit with a statement written for her by Townsend himself. “I would like it to be known that I have decided not to marry Group Capt. Peter Townsend,” the statement said. “Mindful of the Church’s teaching that Christian marriage is indissoluble, and conscious of my duty to the Commonwealth, I have resolved to put these considerations before any others. Snobbishly dismissed by Queen Mary as being from a “family of parvenues and carpetbaggers,” the Duke’s background is in reality not very far removed from the Windsors themselves. Several characters comment on the fact that Philip is a prince without a country, his family having been exiled from Greece, but his royal blood is as blue as Elizabeth’s. Both his mother and grandmother were born in Windsor Castle, and his great-great-grandmother is Queen Victoria — as is Elizabeth’s. In addition, Christian IX of Denmark is Elizabeth’s great-great-grandfather and Philip’s great grandfather. What’s your favorite part of The Crown so far? Tell us in the comments below!